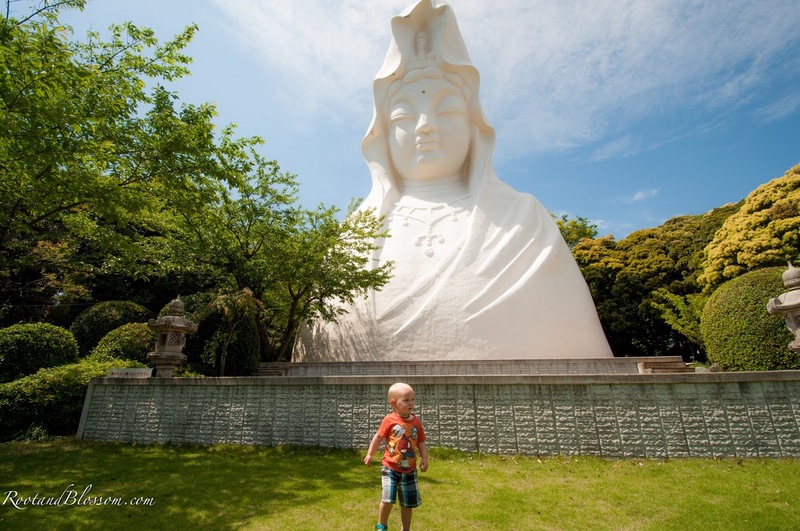 At the end of our 2013 stint in Japan when riding the train to the airport we briefly saw what we noted as a 'white Buddha.' We had never seen anything like it and decided right then and there we'd visit that place next year. Next year was this year! 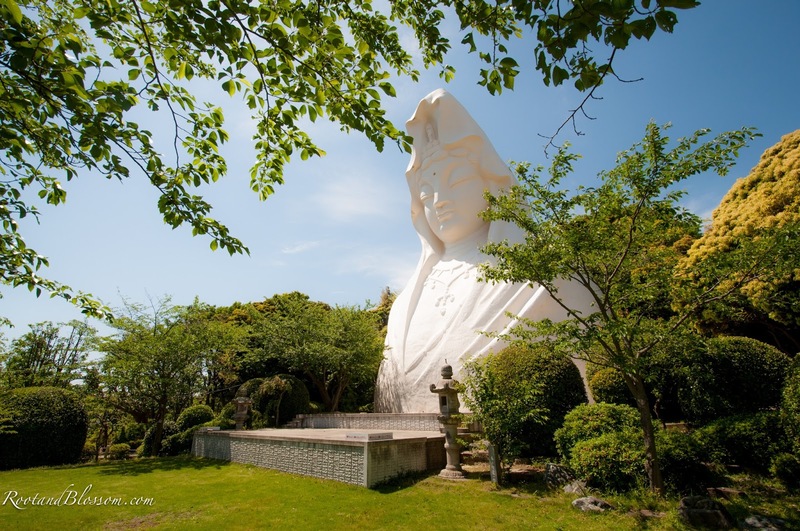 We of course knew what we saw wasn't actually a white Buddha but at the time we had no idea what else to call it so please don't judge us as being insensitive. We later looked it up and learned what we had saw is actually called Kannon. 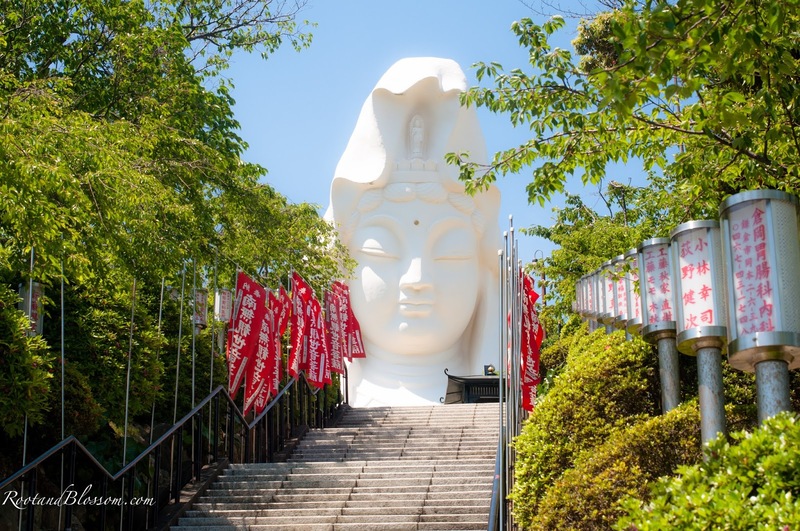 A Kannon can be a part of a Buddhist temple like a Buddha god but is the east Asian goddess of Mercy. 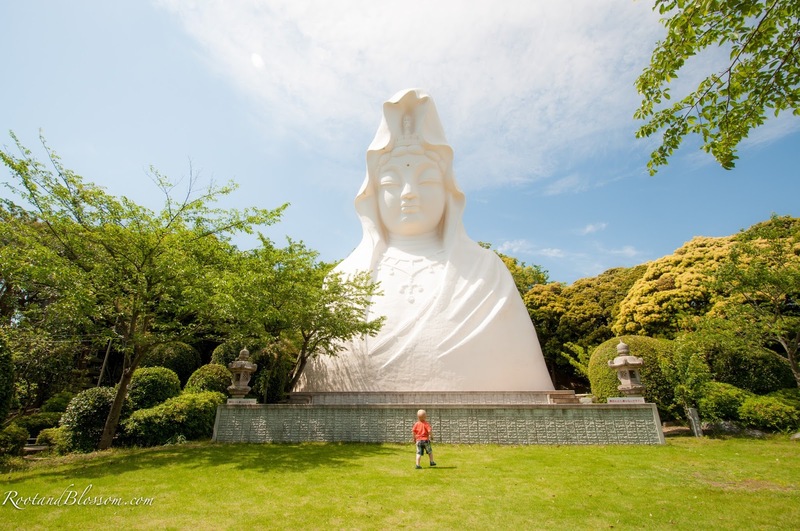 For us not being Japanese or Buddhist we couldn't tell the difference between a Buddhist temple that has a Buddha and one that has a Kannon (maybe there is no difference because the statue) but we did appreciate the impressive architectural beauty of the 82 foot while statue. 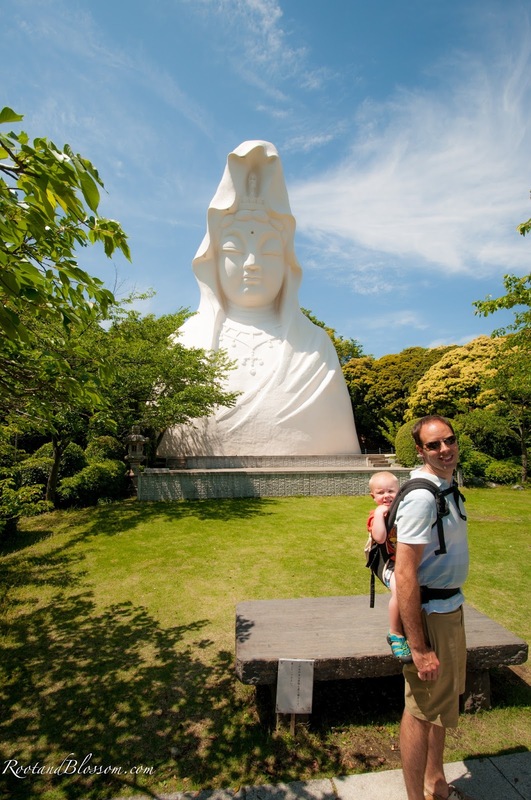 Like the green Buddha at Kamakura we were able to go inside the Kannon, Chris always thoroughly enjoys this part. 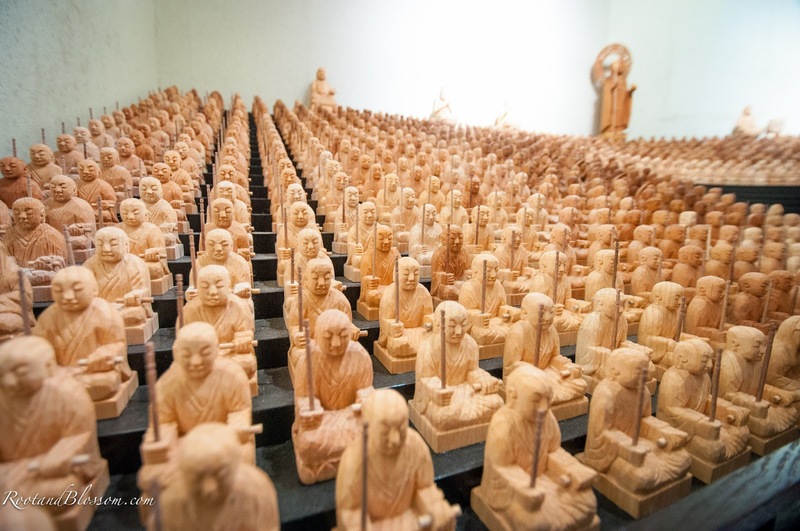 Inside was a small museum and shrine where all the below hand carved miniatures were displayed- each stood about 2 inches tall. Unfortunately because we do not read Kanji we couldn't educate ourselves on the museum displays. 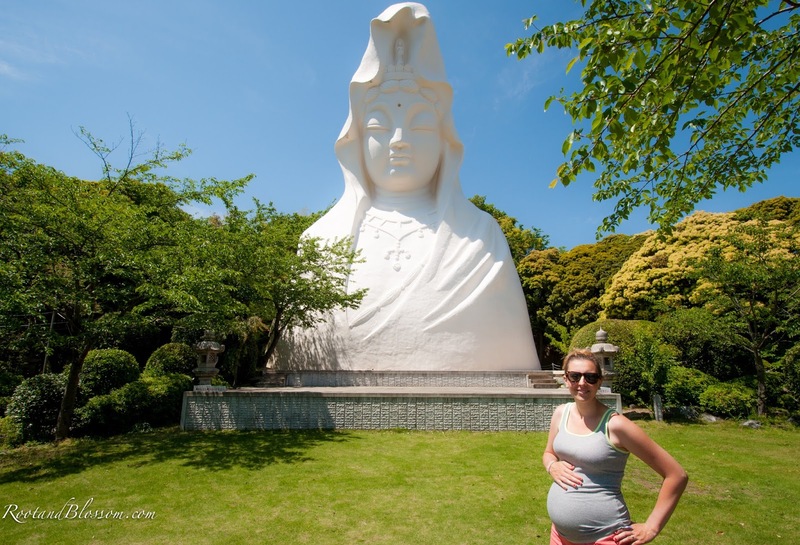 What was really fascinating about this temple was that stones from ground zero of Hiroshima and Nagasaki were used in the construction of the 1,900 ton reinforced concrete statue to commemorate those who died during the atom bomb explosion. They also had a flame memorial present on the site that was light from the fires created by the atomic bomb. We found seeing the flame and knowing what caused it to be quite sobering, so much so I'm unsure how I'll be able to handle visiting Hiroshima during 2015. After a quick picnic we headed back down the hill to the train station and made our way back home.